At AGM, we believe that any manufacturer’s strength and success begins with reliability; that any manufacturer is only as strong as its weakest supplier. In fact, we know from experience. In the early 2000s, many of our then key suppliers experienced degrading quality and delivery standards. As a consequence, parts shipped to us were habitually inadequate and consistently late, which led to our own missed deadlines and poor quality ratings. Our reputation began to suffer, and the company’s future was at stake. Furthermore, as a supplier to the aerospace and defense industry, we felt a strong sense of duty to the men and women of the U.S. armed forces. We didn’t want to let them down. Thus, AGM President and CEO Howard Stewart made the decision that AGM would invest in its first CNC machine. We began manufacturing our own parts immediately thereafter. Since then, AGM’s machine shop has existed in a state of perpetual growth, as the company continues to expand and machine more and more of its own parts.  The goal at AGM Precision Machining is to provide for others what we’ve proven is successful for ourselves: on-time, high quality precision machining services. Through our services, it is our plan to help strengthen industries throughout the Southwest and the rest of the U.S.
We know the level of quality and reliability that it takes for manufacturers to be successful suppliers is often difficult to find. Let us help you find it. We know what manufacturers in this business need. We know because we are one of those manufacturers. We’ve been doing it successfully for a long time now and we’ve been on the wrong side of the supply chain before. We want to help others out with that problem because this is a demanding industry and a very important one. It’s not just about doing individual business; it’s a group effort and when one of us falls behind, the whole thing lags. We think we can help, so that’s what we’re going to do.